Situated on the banks of the River Avon, Bristol is the largest city in the south-west region of England. The city has strong industrial roots, signified by the Clifton Suspension Bridge and the SS Great Britain, both designed by pioneer of the Industrial Revolution and honouree Bristolian Isambard Kingdom Brunel. Although Bristol's legacy as an industrial city is set in stone, more recently the area has begun to make a name for itself nurturing alternative culture. With fantastic art galleries, great music venues, quirky cafes and, of course, its legendary graffiti scene, it's no wonder Bristol is among the favourite UK cities of art lovers. Here's how to spend 48 hours in the city. Found down by the iconic cranes of Bristol's dockside area, the excellent M Shed museum is the ideal place to start off your trip. The museum, split into three sections - People, Place and Life - details Bristol's fascinating history. With over 3,000 objects exploring 2,000 years of history, there's certainly something for everyone at the M Shed. Bristol is home to an abundance of outstanding cafes and restaurants, many of which serve up a variety of exotic flavours. But sometimes there's just nothing better than good old-fashioned fish and chips. Fishminster is the place to go in Bristol, serving up a selection of fresh fish and chunky chips, while vegans can enjoy the falafel burger. If there's only one thing you visit in Bristol, make sure it's the SS Great Britain. Designed by Brunel and launched in 1843, this magnificent steamboat measures a whopping 322ft and, at the time, was one of the most advanced steamboats to roam the seas. The newly restored ship offers visitors the chance to learn all about life at sea in the 19th century, as well as Brunel himself. Bristol has earned the title of the street art capital of Europe, and when it comes to street art, one name holds weight above them all: Banksy. The graffiti artist's real name still remains unknown but that can't be said for his work. Banksy's creativity can be seen all over the world, but much of his earliest and best art can be found in Bristol. 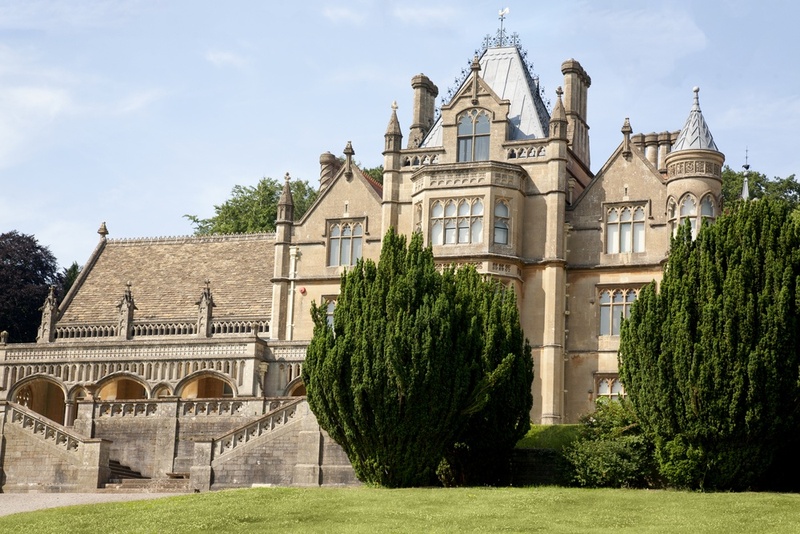 Drive out to the west of the city and you'll find the enchanting mansion and gardens of Tyntesfield. Once home to aristocracy, this Gothic Revival style site has recently been acquired by the National Trust. Exploring Tyntesfield and its 540 acres of estate makes for a lovely day out.